Note: Report was written by Roberta Hegy, Commodore of the Glacier Lakes Chapter. Photos are from the Glacier Lakes Chapter Facebook page. 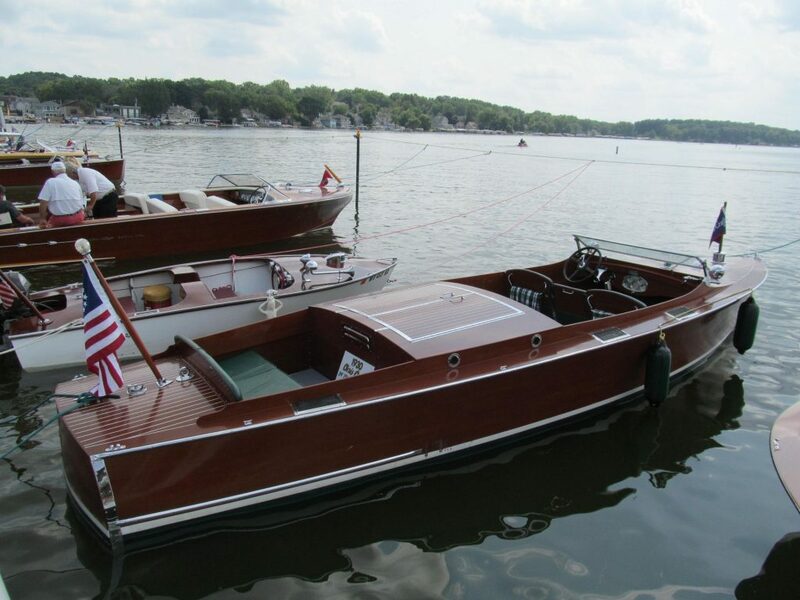 The 14th Annual Chapter Show in Pewaukee was held August 18th. The weekend started out with some fog on Friday during setup at the downtown Pewaukee Beach, but the weather cleared, and all went well, thanks to the many members who helped out. Friday evening the boat show participants gathered at the home of Peter and Edit Harken. We enjoyed the Harken’s wonderful hospitality and home as well as Rick Buckley’s yummy treats of lamb pops and shrimp and a variety of meats, cheeses, fruits and veggies. Wine, drinks, water and soft drinks were served from the Harken’s beautiful bar and patio. A BIG Thank you to the Harken’s and Rick for an AWESOME evening. 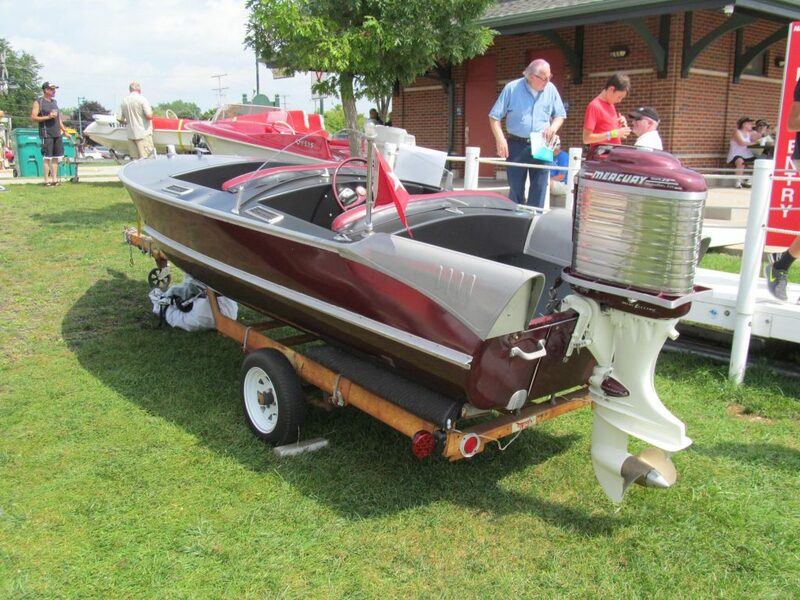 Boat show day brought fantastic weather and a large flow of spectators to enjoy the boats, cars, and motorcycles presented by members and show participants. 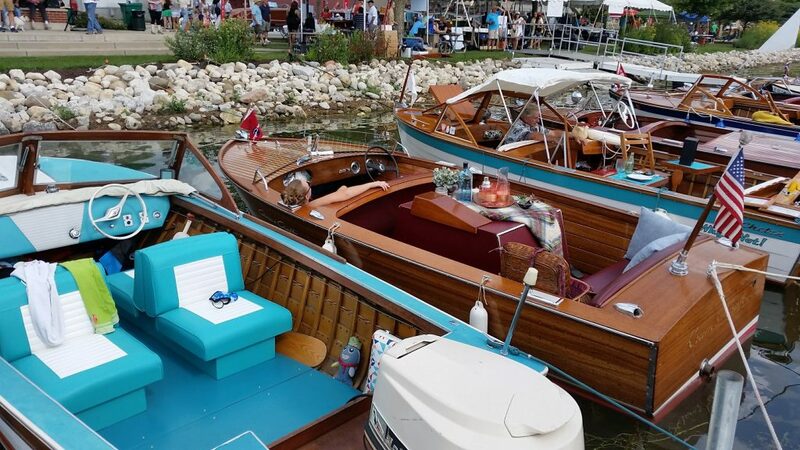 Rides were given by Wil Vidal in his boat “In the Mood”, John Zea in “Vogler Boy V”, and Roberta Hegy in the Glen L “Torpedo”. The rides were very well enjoyed by spectators attending the show. The Saturday evening banquet was held at the Pewaukee Yacht Club and dinner provided by Rick Buckley and company. Everyone enjoyed the BBQ pork chops and all the trimmings. Great Job Rick!! Following dinner the awards were presented to show participants. This year’s show might well be the best ever. Great Food, Great Fellowship, and a Great Time was had by all. If you missed it, you really missed a Great Event.